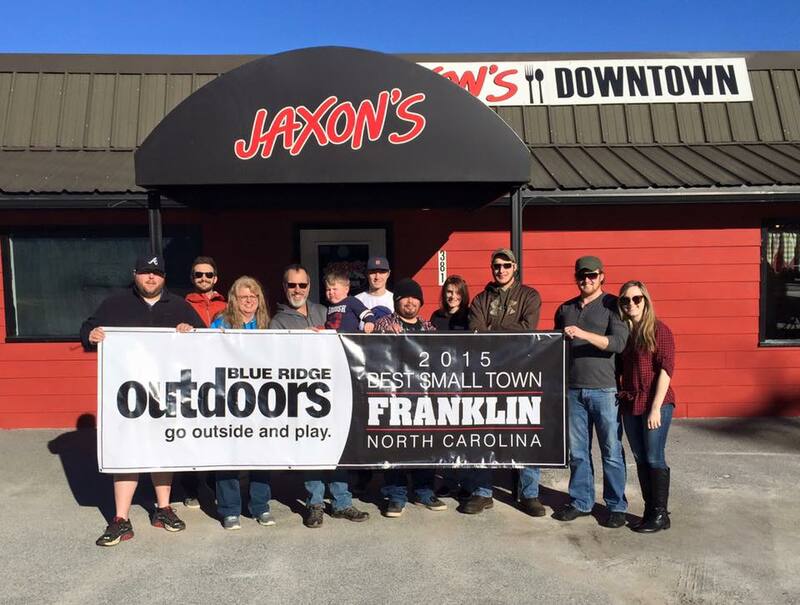 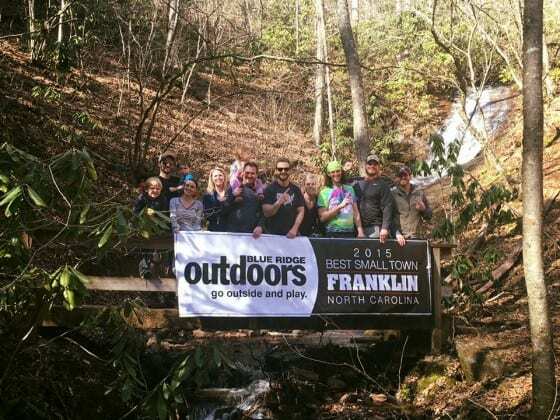 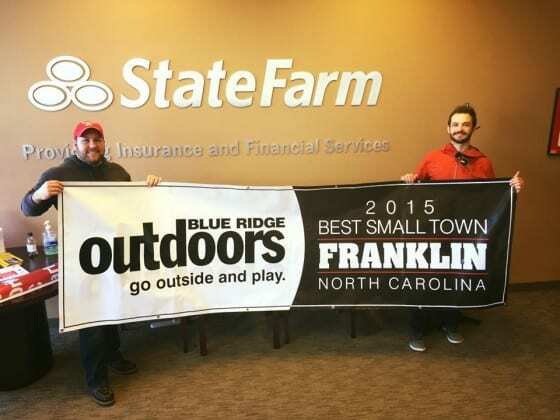 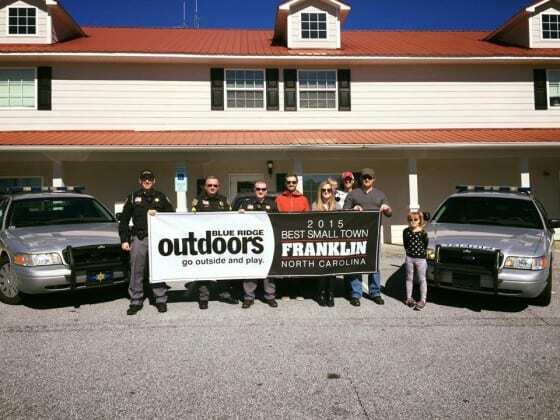 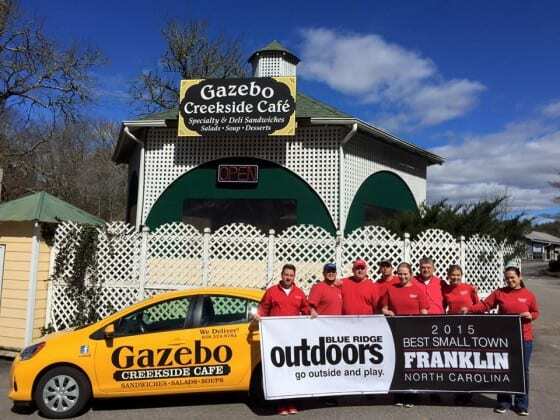 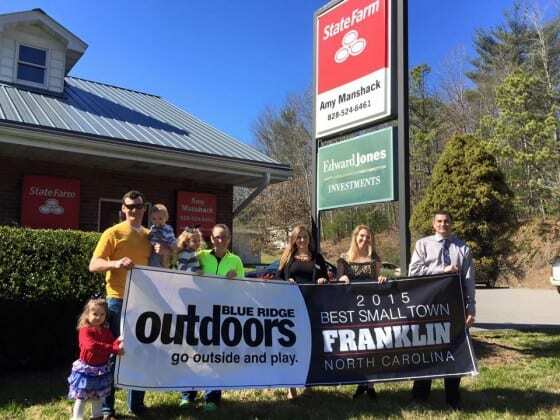 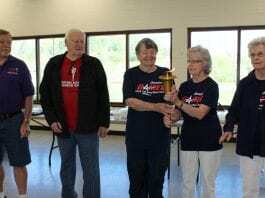 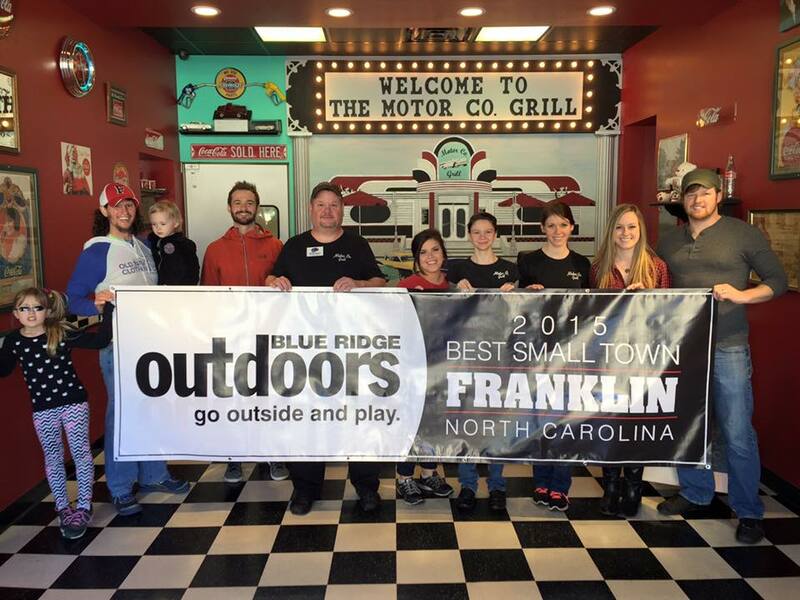 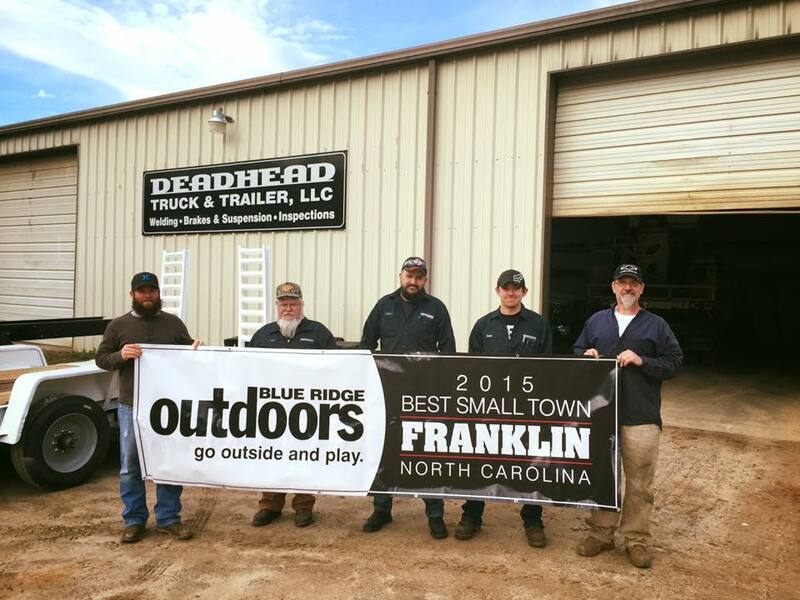 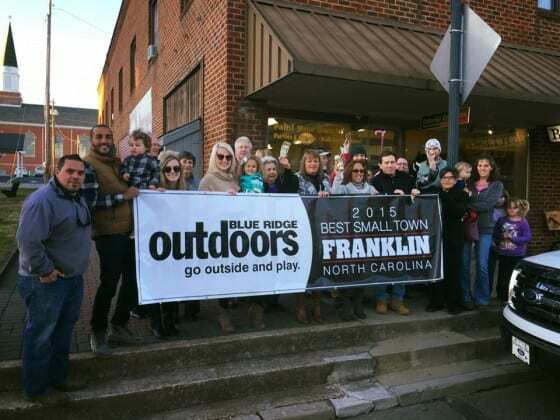 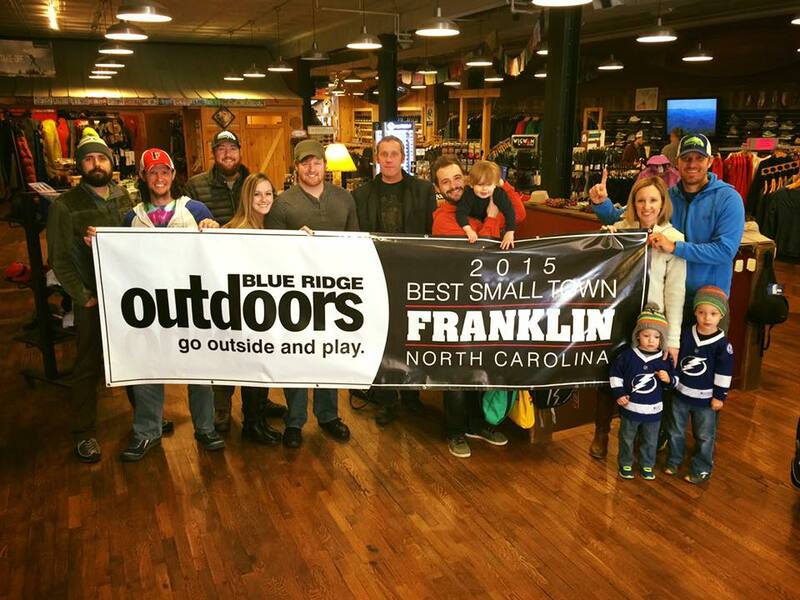 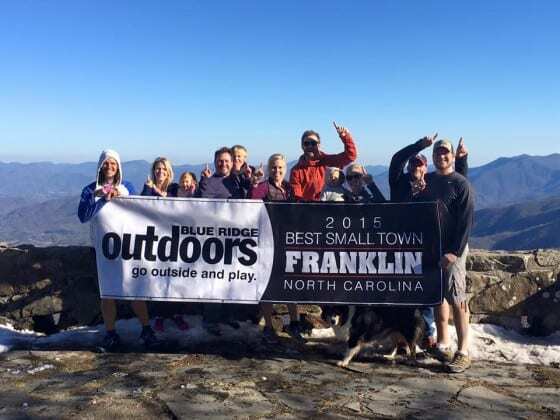 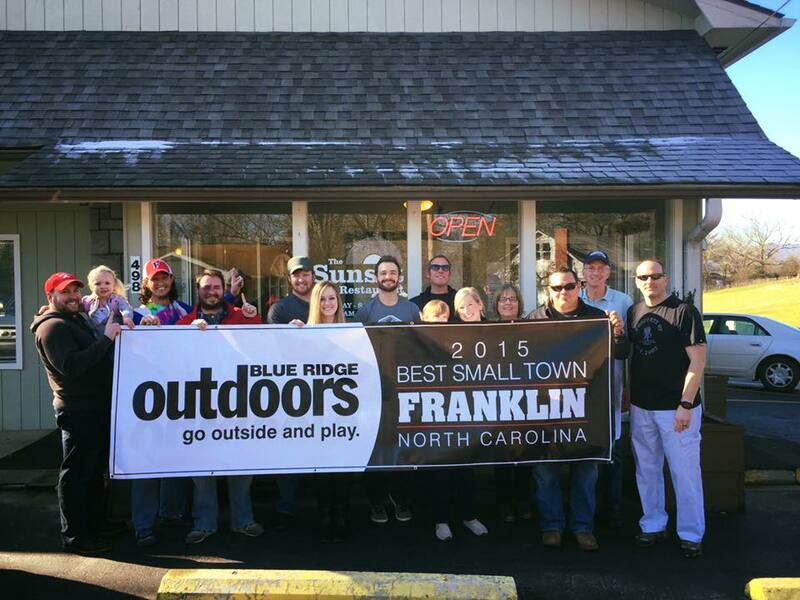 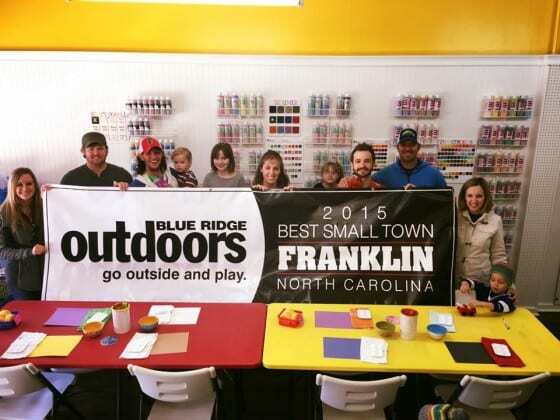 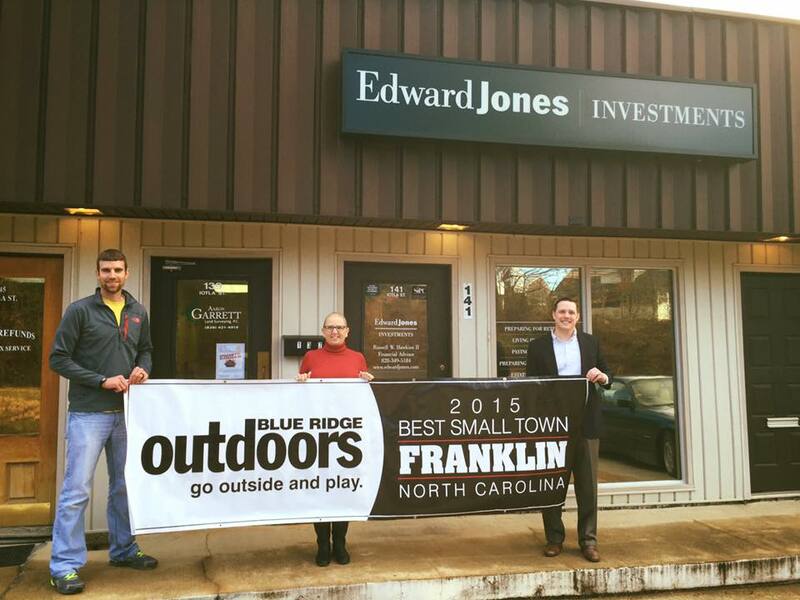 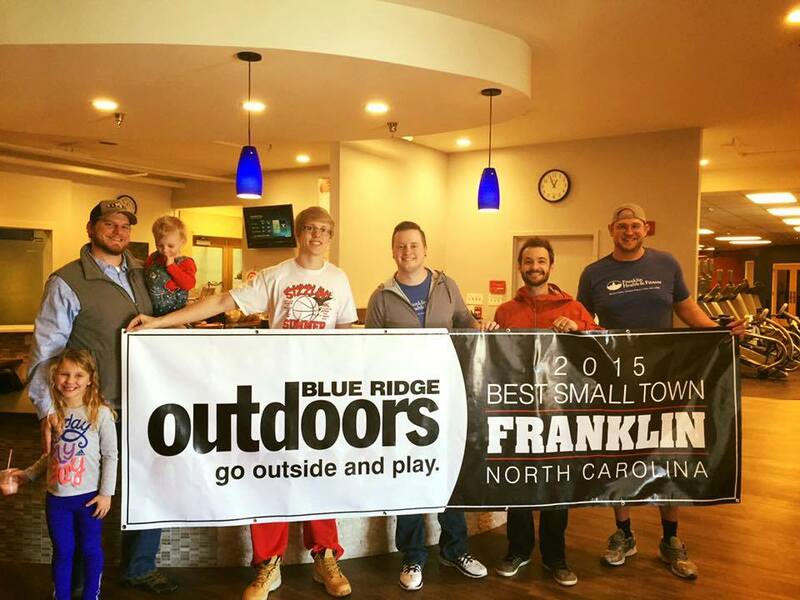 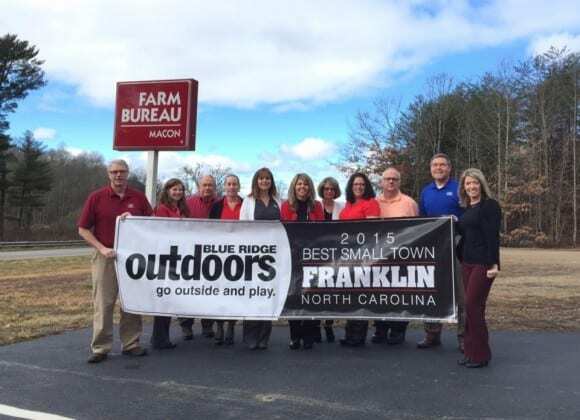 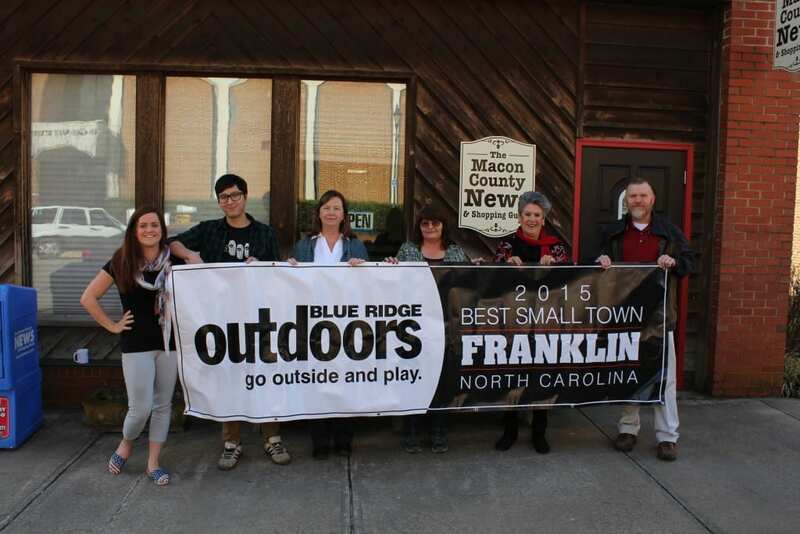 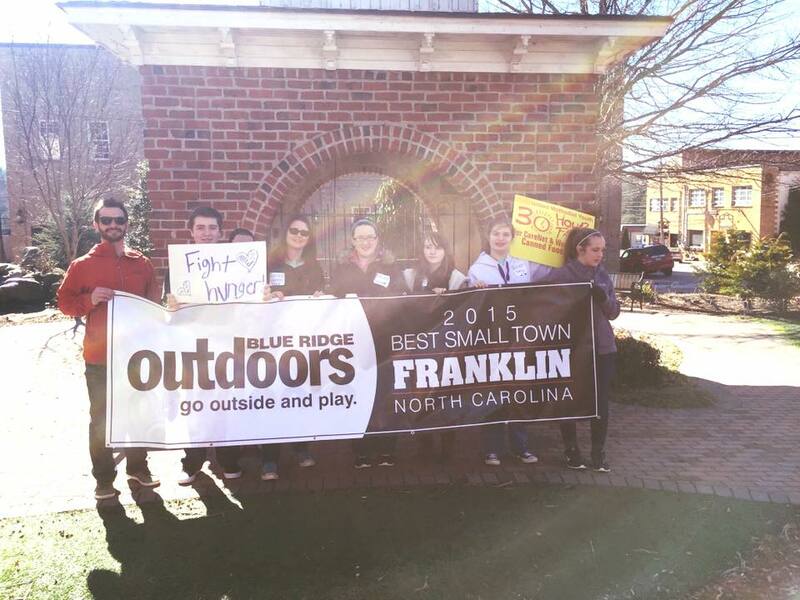 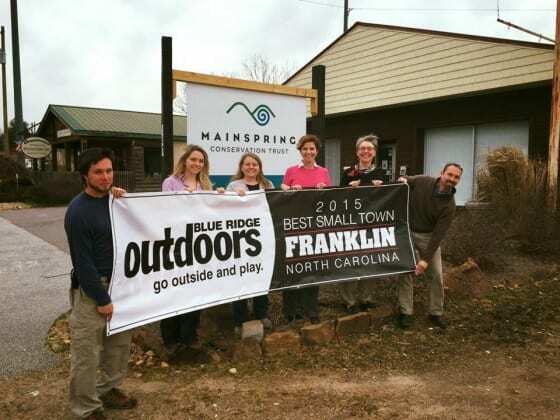 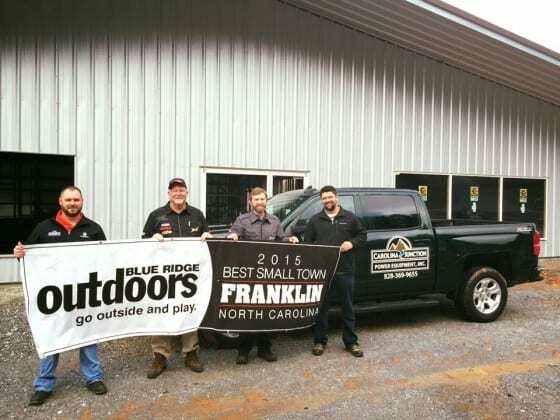 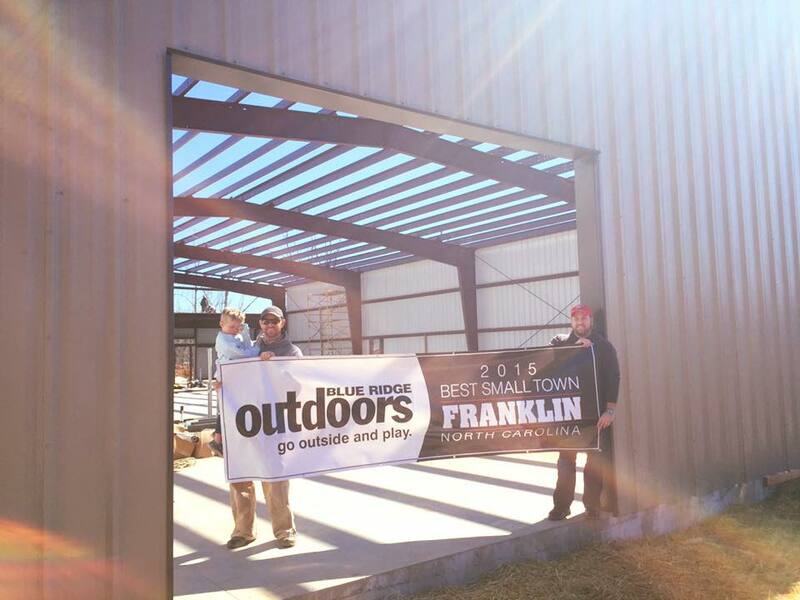 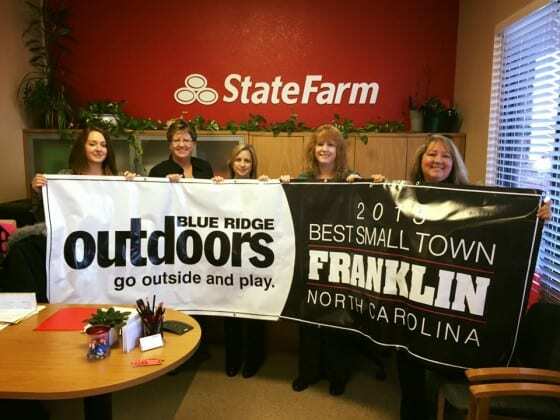 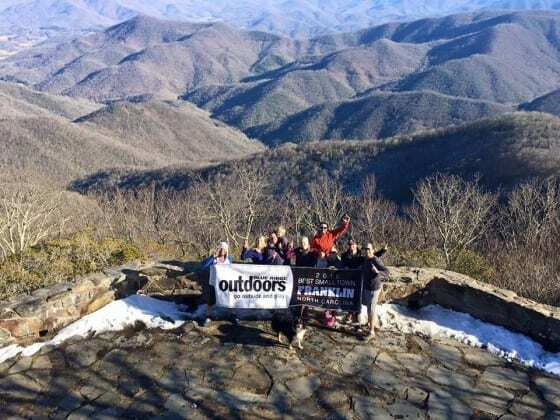 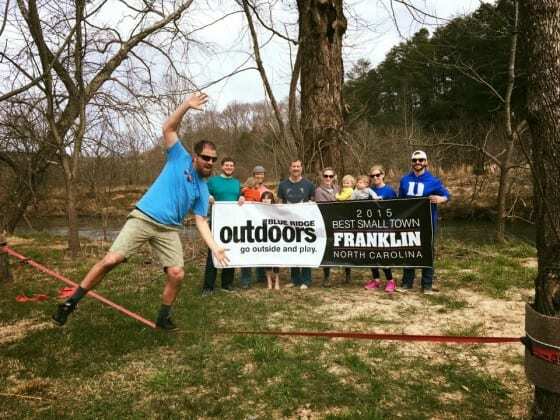 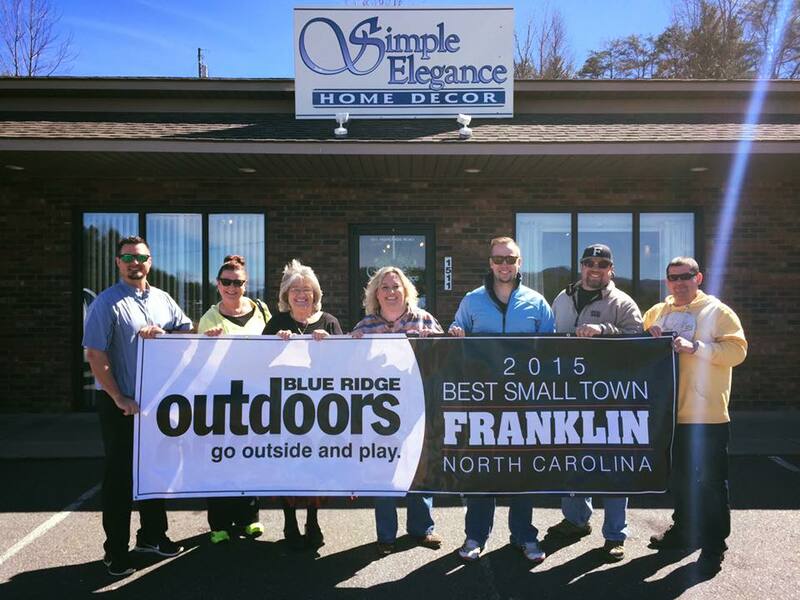 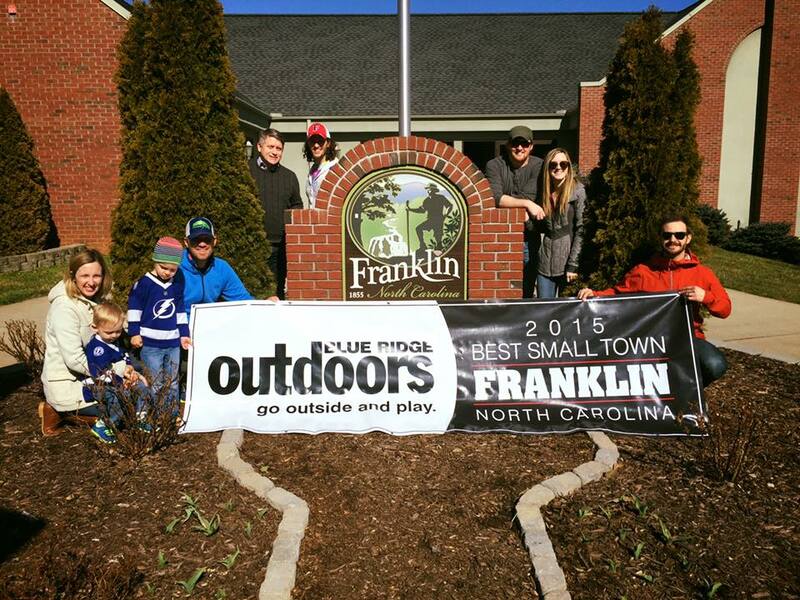 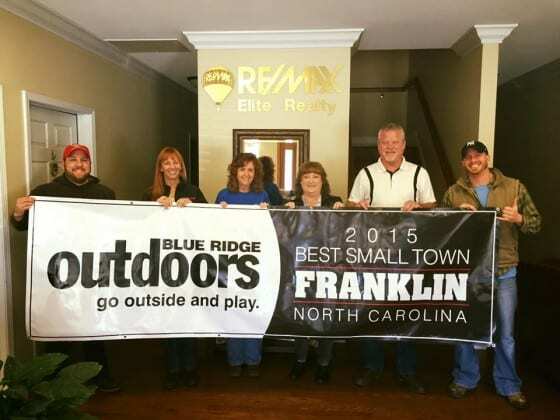 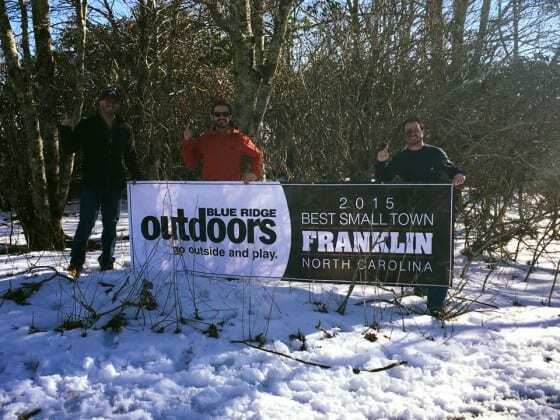 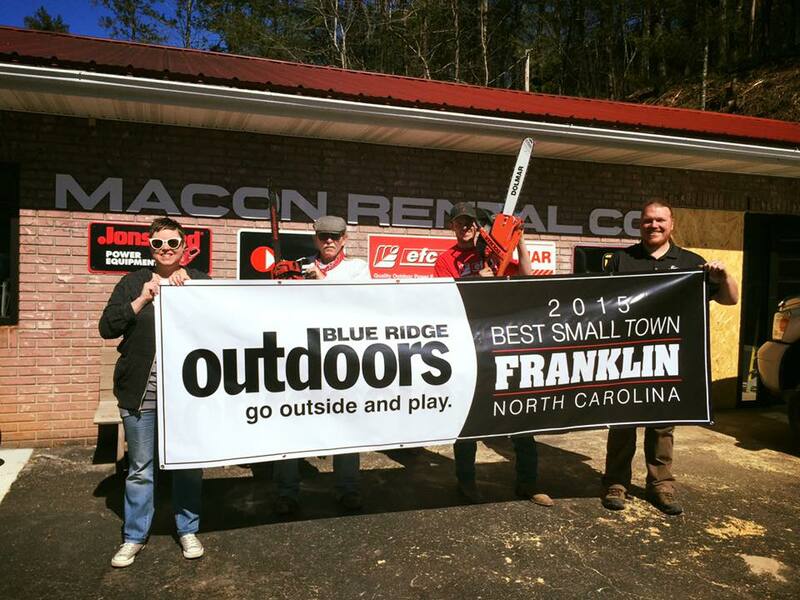 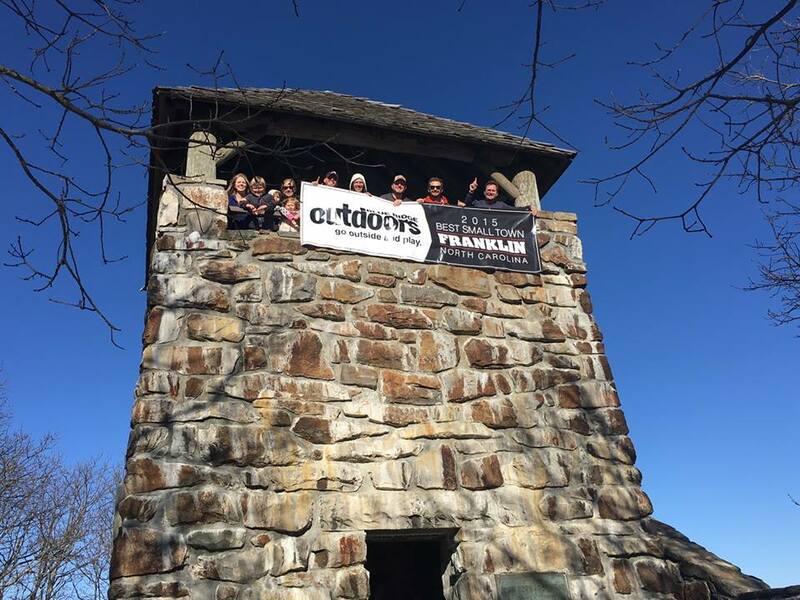 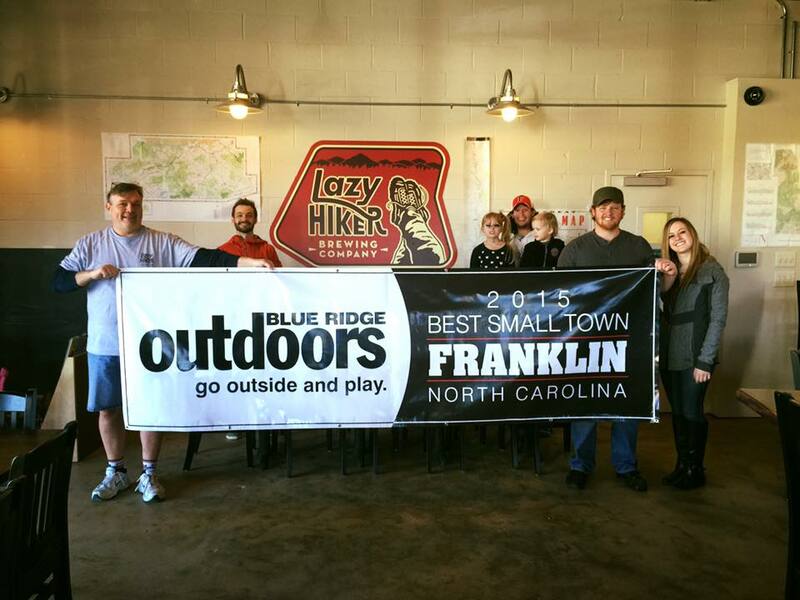 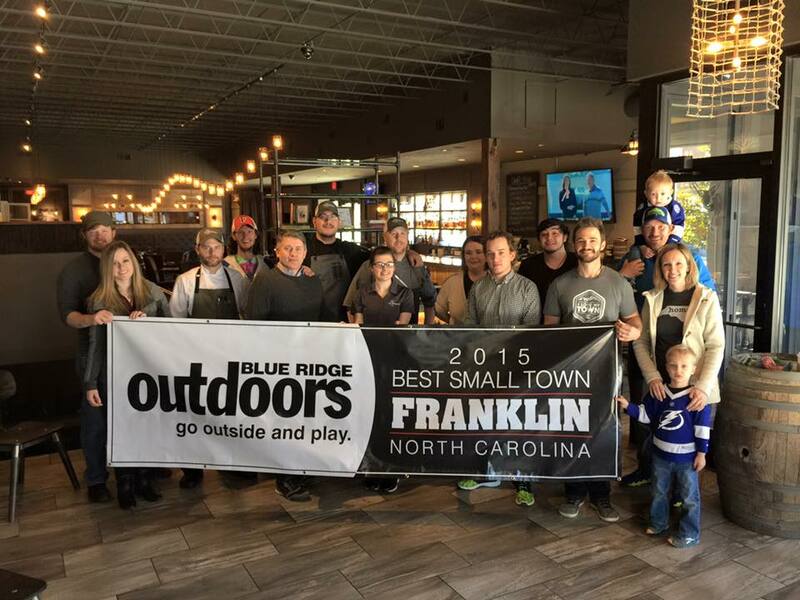 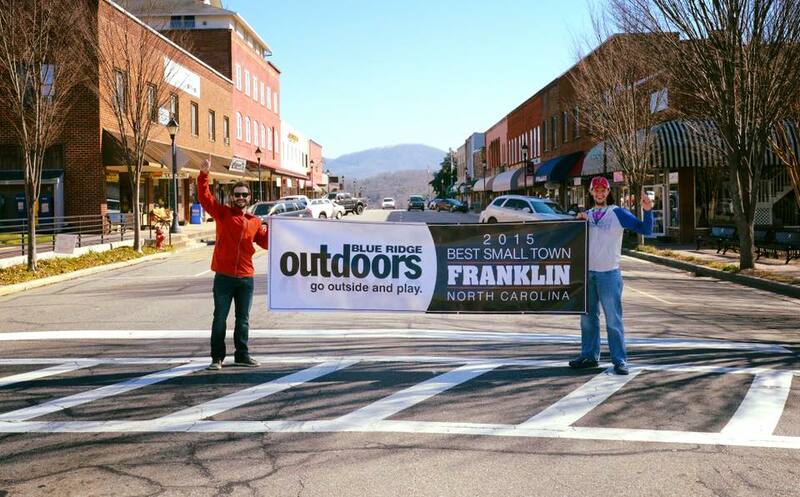 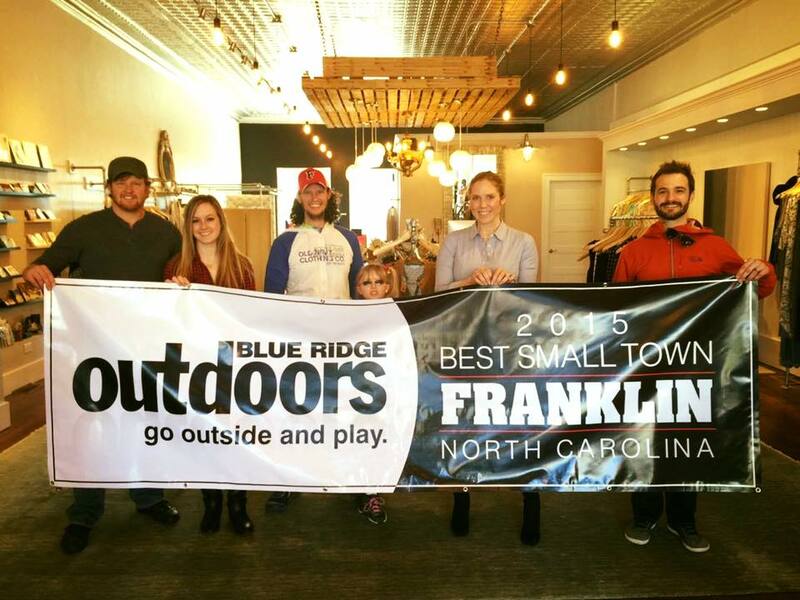 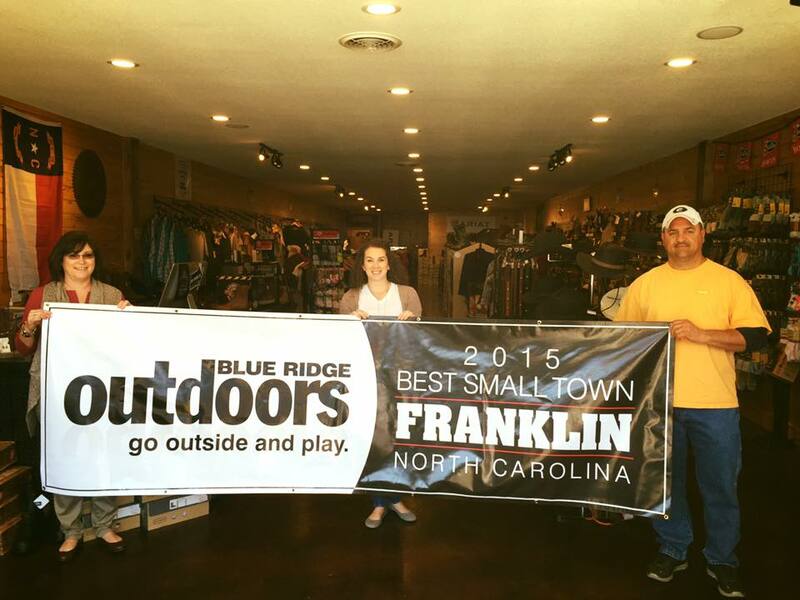 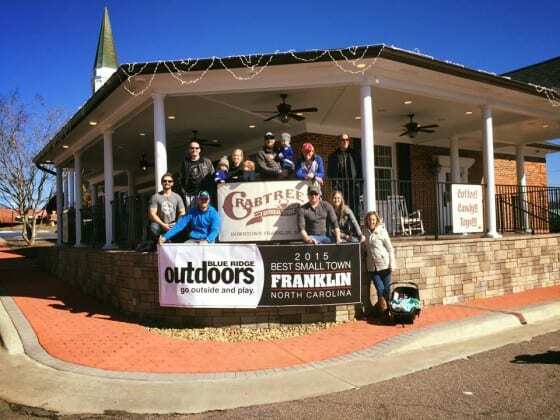 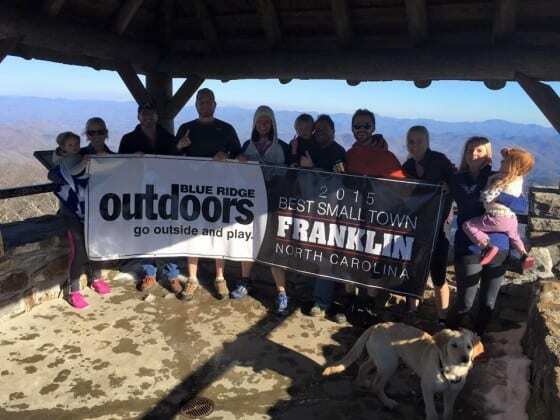 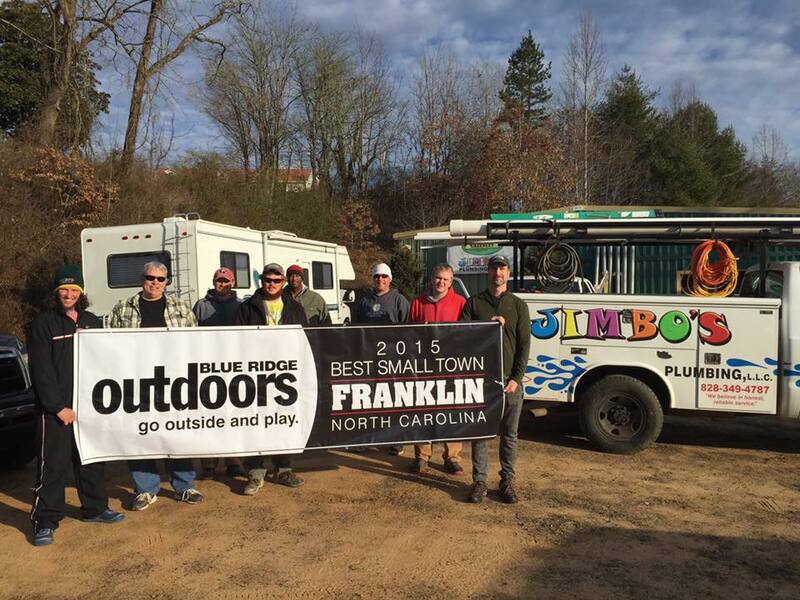 The Franklin Appalachian Trail Community Committee (FATCC) made it a priority during its February meeting to spend the remainder of the year promoting Franklin’s designation by Blue Ridge Outdoor Magazine as a 2015 “Top Town” winner. After applying for a grant from the Macon County Tourism Development Commission, the FATCC purchased two banners touting the award. 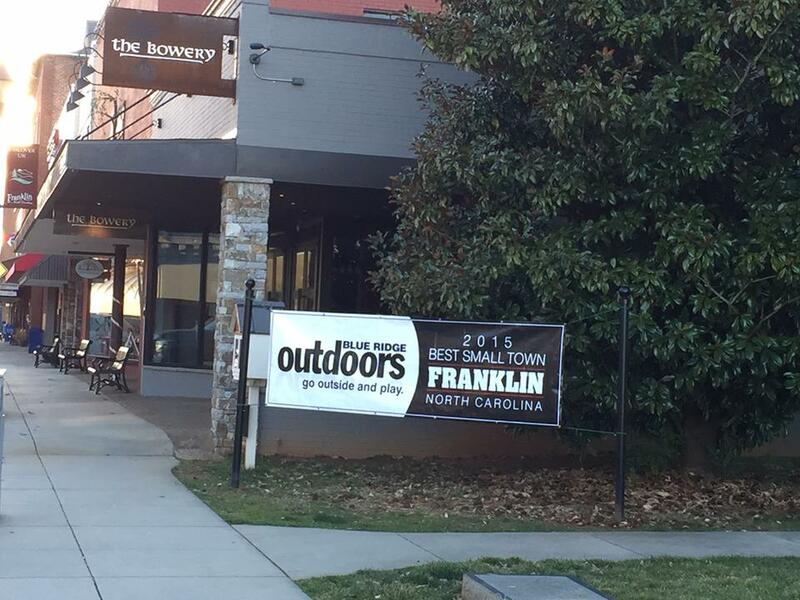 The FATCC purchased two banners last week with $312.52 approved by the Tourism Development Committee (TDC) and according to TDC member Linda Harbuck, the grant request was approved due to the award’s alignment with the board’s purpose of promoting tourism in Macon County. Eventually, the banners will be displayed in high traffic areas such as the lawn in front of town hall, but for now, Bateman took the initiative to spend the weekend taking the banner on a tour of community businesses and organizations who want to show their support of the award. Harbuck noted that by Franklin being named a “Top Town,” all of Macon County stands to economically benefit. 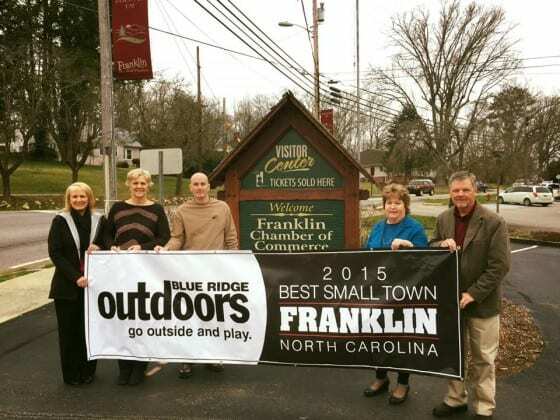 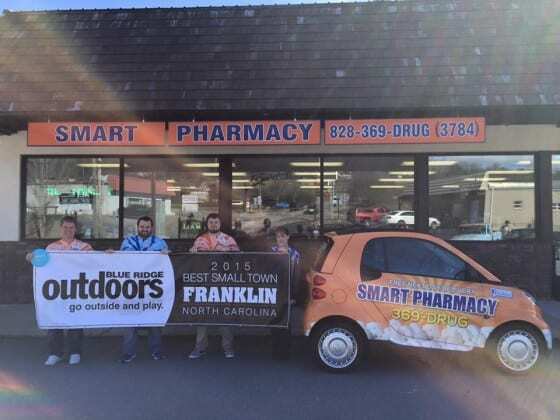 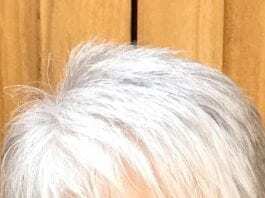 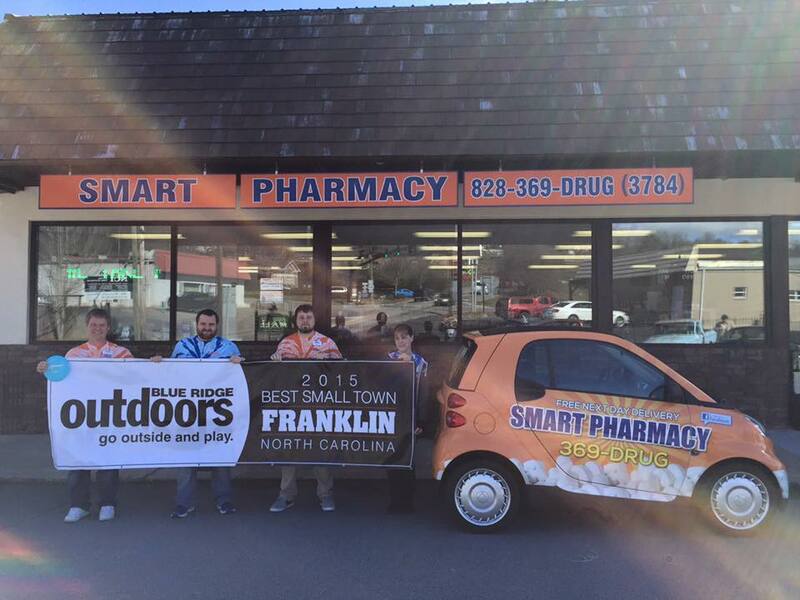 “It will draw more attention to Franklin as a great place for enjoying our many outdoor activities,” she said. 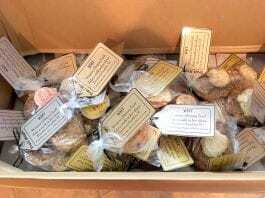 local businesses and some of Macon County’s best outdoor spots like Wayah Bald. 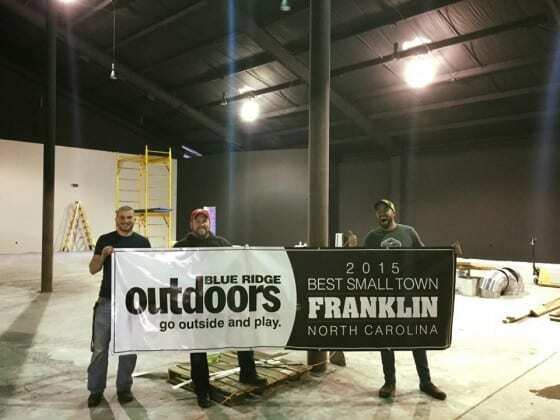 Over the coming weeks, Bateman plans to continue reaching out to the business community to get more “buy-in” for the award.